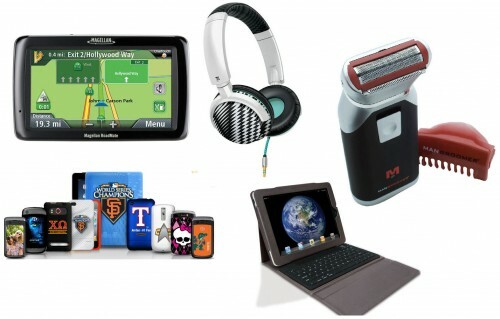 Win everything from our 2010 Men’s Holiday Gift Guide! That’s right, we’re giving everything away from this year’s men’s holiday gift guide! Ten winners will be chosen at random to receive one of the following prizes listed below. We’re choosing 4 winners from Facebook, 3 winners from Twitter, and 3 FushionMag.com newsletter subscribers. See complete details below. Learn more about these prizes HERE! -No purchase necessary to enter our free giveaway. -Only one entry per person. -Open to U.S. residents only. -This contest is only open to FushionMag.com Subscribers, those who Follow us on Twitter, or Fans of our Facebook page. If you are not any of these, see below on how to become one. –You MUST fill out the short entry form AND answer the TRIVIA question about the video in the space provided on the entry page to qualify. It’s so easy, just read the question below the video and watch the video for the answer. -If you are a Facebook fan, you must Like this post or the Men’s Gift Guide story. -Enter HERE for your chance to win one of the ten prizes. -Contest ends Saturday, December 4, 2010 at 7pm EST / 4pm PST. Winner will be notified either by email, Twitter or Facebook. If contest winner does not provide a valid mailing address by the specified time, another winner will be chosen. To become a FushionMag subscriber, click HERE! To follow us on Twitter click HERE! To join our Facebook fan page, click HERE! What is the next project the directors of “Tangled” are working on? Following and tweeted the above as pasandy. I just got an e-mail that I’m one of the winners … thank you so much Fushion Mag !!! :D sooo happy! I hope I win this prize package! Another contest, I hope I win! It would sometimes be mighty nice to be a man!